Ascension Michigan has announced that Joseph Cacchione has been appointed as CEO. He will also serve as senior vice president of Ascension Healthcare. Cacchione has been serving as interim CEO for Ascension Michigan since April. He will continue to provide strategic and operational leadership to all health ministries that make up Ascension Michigan, and his focus will be on aligning the hospitals to become one integrated health ministry across the country and providing a coordinated care experience throughout patients’ lives. Cacchione will also continue to provide strategic leadership to Ascension Medical Group, serving as CEO. 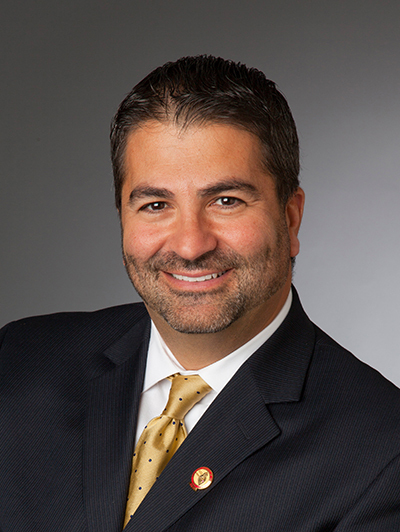 “I am excited about continuing to move forward as Ascension Michigan’s CEO, and am grateful for the overwhelming support of our Ascension Michigan leaders, providers, associates, and community as we continue to fulfill our mission of caring for those we are privileged to serve,” says Cacchione. Prior to joining Ascension, Cacchione served in leadership positions at the Cleveland Clinic, including as chair of operations and strategy for the clinic’s Heart and Vascular Institute, as well as serving as executive vice president of chief of quality and operations at Saint Vincent Health System in Erie, Pa.
Cacchione is boarded-certified in internal medicine, cardiology, and interventional cardiology. He earned his medical degree from the Drexel University College of Medicine in Philadelphia and his undergraduate degree from Gannon University in Erie, Pa.